A hajj certificate, stating that Maymunah, daughter of Muhammad ibn 'Abd Allah al-Zardali, made the pilgrimage to Mecca and visited the tomb of the Prophet Muhammad in the year 836 AH (1432-1433 CE). The image portrays the structures and shrines of the holy city, some of which were later destroyed by Wahhabi radicals. Wahhabis have, in the 21st c., attempted to restrict female participation in hajj. Image Via Wikimedia Commons. The status of girls and women is a central problem for the future of many Islamic societies. While a negative image of the condition of women is often associated with Muslim faith and customs, a closer examination of these issues reveals nuances and positive aspects seldom acknowledged by non-Muslims. For example, the hajj pilgrimage includes imitating the desperate search for water by Hajjar, mother of Ismail, running seven times between the hills of Safa and Marwah. Pilgrims at hajj and umrah (the lesser, shorter religious journey to Mecca) visit Zam Zam, the miraculous well provided by the mercy of the All-Powerful to Ismail, son of Hajjar and Ibrahim. Islamic tradition exalts Mary (Mariam), mother of Jesus, and affirms that she was a virgin when Jesus was born, although Muslims do not believe either Jesus or his mother was a divine personage. Prophet Muhammad's first wife, Khadijah, was a rich widow, who chose him as a spouse, rather than vice versa. Muhammad's later and younger wife Aisha was the daughter of Abubakr, one of Muhammad's leading Companions and the first khalifa (caliph or successor as leader of the Muslims). Aisha assumed an important, but extremely controversial role in early Islamic history. She incited the Muslims against the fourth khalifa, Imam Ali, bringing the fitna (conflict) that divided Muslims between those who would come to be known as Sunnis and Shias. Imam Ali was assassinated in 661 CE, and his son Imam Husayn was killed at Karbala in 680 CE. But during these final days of Ramadan, it is inappropriate to dwell on the faults of Aisha and more important to recognize the indispensable role of women in the history and future of Islam and society. Shia Muslims honor Fatima, daughter of Muhammad and Khadijah, and wife of Imam Ali, as equal, if not superior to Mariam, in moral perfection. Women participated in the early battles in defense of Islam, and Umm Haram, a wet-nurse and adoptive aunt of Muhammad, joined the Arab military expedition to the island of Cyprus in 649 CE. Umm Haram died on Cyprus and her shrine is maintained there. Zeynab, offspring of Fatima and Imam Ali, and sister of Imam Husayn, courageously challenged the murderers of her brother. Rabiya Al-Adawiyya, a woman from Basra in Mesopotamia, was the first Muslim to articulate the spiritual Sufi doctrine of absolute love for humanity by the Creator and reciprocal love for the Master of the Day of Judgment; she died in 801 CE. 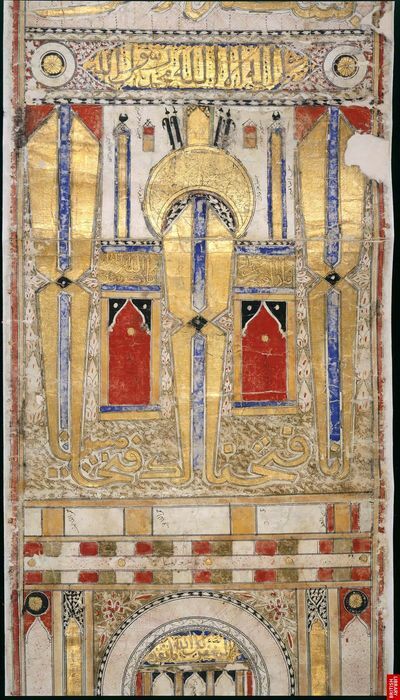 Rabiya Al-Adawiyya in an Islamic miniature, date unknown -- Image Via Wikimedia Commons. Significantly, with the coming of Islam, the crime of female infanticide was prohibited in Arabia. Qur'an announces, in surah 81, ayah 8-9, that in the Last Days, "the girl buried alive will be asked for what sin she was killed." In addition, Islam was the first of the monotheistic religions to guarantee the right of divorce by women (in Qur'an, surah 2, ayat 224-236). No Muslim of good conscience, however, particularly in the fasting month of Ramadan, when as believers we ponder our spiritual purification, should ignore that the Muslims today are afflicted with social pathologies that victimize girls and women. The most obvious examples of this come from the kingdom of Saudi Arabia, where the ultra-fundamentalist Wahhabi interpretation remains the official sect. There, the reigning King Abdullah has instituted cautious, slow reforms, including recent permission for two women, martial-arts contestant Wojdan Shaherkani, and Sarah Attar, a track and field runner, to compete in the 2012 Olympics in London. Their appearance in the Games represented a small but significant breakthrough for Saudi women. Qatar and Brunei additionally broke the last barriers to female representation in their Olympic delegations. The physical exertions of Muslim women while observing the Ramadan fast in the oppressive heat of London were noteworthy. Nevertheless, Saudi women, and many other Muslim women, continue to contend with social obstacles to achievement on an equal basis with men. The Saudi female athletes in London were condemned by Wahhabi reactionaries as immoral, as were female Olympians from some other Muslim lands. In their daily lives, Saudi women remain under the supervision of a male relative as a guardian or "mehram." One of King Abdullah's most promising changes has been to grant Saudi women the right to vote and stand as candidates in municipal elections scheduled for 2015, without requiring the permission or presence of a male guardian. Yet Saudi women still cannot operate vehicles legally on the public roads (although Saudi women drive cars and trucks in rural areas), travel, accept employment, get married or divorced, or receive medical care in a hospital without a male guardian's permission. Further, of all the Muslim states, Saudi Arabia imposes the most extreme restrictions on women's dress in public, on the pretext of modesty: the un-Islamic face-veil or "niqab" and the all-covering body garment or "abaya." Saudi woman -- Photograph 2010 Via Wikimedia Commons. Saudi King Abdullah has established new universities where women are educated to a standard equal with that of men. But in the Saudi dominion as elsewhere in the Muslim countries, gender inequalities and injustices persist. The forms of debasement faced by Muslim women today are numerous. So-called "honor" murders, which are unsupported by Qur'an and Islamic legal precedents, and other forms of domestic violence, are abominable. The atrocious habit of female genital mutilation (FGM) is widespread in some places, most particularly among Sunni Kurds in Iraq. Divorce by triple declaration of the husband ("talaq") has been frequently abused to the detriment of women. Muslim women married by contract ("nikah") in Pakistan, who then migrate to Britain, may neglect to register their weddings civilly in the UK, in which case they cannot obtain civil divorces there, and must turn to "shariah tribunals" in the West for relief – typically at a high price in fees. Long-distance marriage contracts involving old men and young girls continue to produce public scandals among Muslims. Although polygamy, which is permitted in Islam, has diminished among the majority of Muslims, it is common in the Arabian Gulf and found among Muslims elsewhere. Some juristic interpretations by "shariah" authorities limit the capacity of women to give legal testimony, requiring that female witnesses comprise at least two, rather than one, individual. Shia men defend the practice of "mutah" or temporary marriage, which amounts to prostitution, as the "nikah mutah" or "mutah contract" may last as briefly as half an hour. The penalty of stoning for alleged adultery should be abolished. Few of these problems are endemic in the main ex-Communist Muslim states, where official, if flawed, equality of men and women was imposed during the 20th century. While this "enlightened" standard was often instituted through brutal repression of religion, it left Russian, Central Asian, and Balkan Muslim women with exemplary rights and responsibilities. During the Bosnian war of 1992-95, Muslim women fought, arms in hand, in the Army of the Republic of Bosnia-Hercegovina – without, let it be known, affecting "hijab" (head-coverings) or other ostentatious indicators of supposed piety. 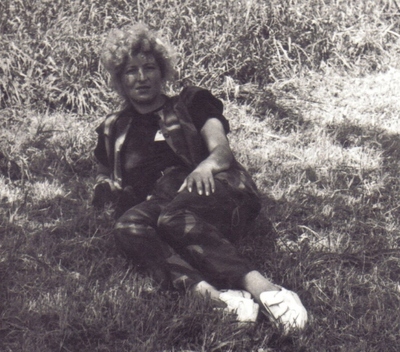 Fadila "Žuta" Odžaković, Sarajevo, 1992. One of the most distinguished female defenders of Sarajevo was Fadila Odžaković, known as "Žuta" or "Yellow" for her blonde hair, which she left uncovered while serving as a front-line medical officer. She was born in 1958 in the eastern Bosnian town of Goražde and was wounded on September 18, 1992, in Sarajevo, dying two days later. Fadila "Žuta" Odžaković, like all Balkan Muslim female combatants, deserves the full respect of every Muslim in the world. 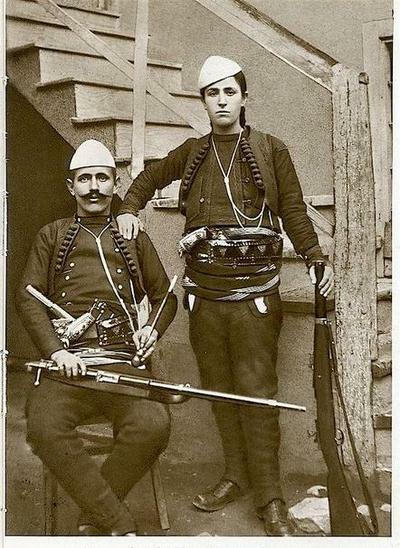 Further back in Balkan history, one recalls the example of Qerime Shotë Galica (1895-1927), a legendary female warrior in defense of Albanians against Slav aggression. Azem Bejta and Shotë Galica. Photograph by Kel Marubi. The Muslim woman has proven herself in spiritual and military affairs, as well as in family and professional life. What, then, is to be done to realize the potential of Muslim women for a fuller contribution to Islam and humanity? During the "Arab Spring," beginning in 2010, Muslim women in Tunisia, Egypt, and elsewhere have complained that political renovation and the rise of fundamentalist parties left them with fewer, rather than more rights and opportunities, than they had in the past. In Turkey, under the neo-Islamist government of the Justice and Development Party (AKP) of Recep Tayyip Erdoğan, changes in educational laws may encourage parents to remove their daughters from school after only four years. 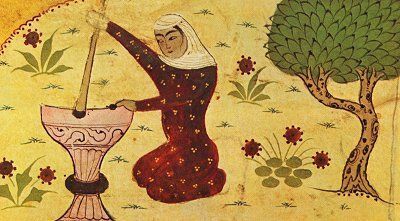 By contrast, some Sufi orders throughout the Muslim world promote gender equality, including endowment of educational opportunities for girls and women. A Muslim leadership body, the All-India Ulema and Mashaikh Board (AIUMB), uniting Sunni Sufi sheikhs and based in Lucknow, has produced an agenda that combines resistance to the radicalism of Saudi-financed Wahhabis and other extremists, who seek to dominate Indian Islam, with effective measures to improve the condition of Muslims as citizens and members of the global Muslim ummah. In a praiseworthy set of proposals, the AIUMB calls for "minority empowerment, particularly that of Muslims, whose educational, economic and 'social' conditions are already compromised." AIUMB has defined education correctly as the foundation of all empowerment, and has proposed the establishment of "schools and colleges for girls" accessible to all communities, and with "special incentives (by way of providing jobs and other privileges)… to female students so as to encourage families [in] educating their daughters." 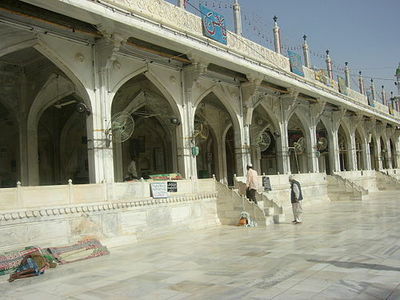 Ajmer Sharif Shrine, Rajasthan, the preeminent Sufi monument in South Asia, dedicated to the 12th c. CE mystic Moinuddin Chishti -- Photograph 2010 by Shahnoor Habib Munmun, Via Wikimedia Commons. An important effort toward enhanced education of girls in emerging economies began in 1999, "to promote education for girls by reforming government schools." The civil society program, with the title Educate Girls Globally (and the piquant acronym EGG) "was modeled on similar programs in Upper Egypt, Pakistan, and southern India." According to a recent article chronicling its work, "The Global Schoolgirl," by A. Lawrence Chickering and Anjula Tyagi, published in the August-September 2012 issue of the prestigious U.S. quarterly magazine Policy Review, EGG has "focus[ed] on reforming operating government schools and partnering with ministries of education" in the north Indian states of Rajasthan and Uttarakhand. Chickering (president of EGG) and Tyagi (executive director of EGG and former director of its activities in Uttarakhand) report, "While traditional school-reform programs regard 1,000 schools (or even 300) as very large scale, after six years in Rajasthan EGG's model was in 4,500 schools serving almost 600,000 children. Plans are in place to expand to 10,000 schools and more, serving more than a million children. The marginal cost of the program is less than three dollars per child per year for the two-year program — compared to other school-reform models costing $100 per child per year and more. The government not only feels no threat from this empowerment program, but the state ministry in Rajasthan is currently financing about 40 percent of the program budget." Chickering and Tyagi write, "The specific community mobilization model comes from a nonprofit organization called MAYA, which promotes reform of government schools in the Indian state of Karnataka. Thus was created the most important difference between EGG's program and many other community-based education models. Most [civil society groups] avoid working in government schools, which they believe cannot be reformed. They are also afraid rampant government corruption will contaminate their work." Beginning with "enrollment of girls, the program started to address larger issues of equity and quality, and introduced creative learning in 'enrollment camps' for dropout girls. (The introduction of creative learning in regular primary schools came later, in Rajasthan.)" EGG begins its work on site "with a government endorsement and formal agreement, which incorporates the model into the ministry's formal education program. In every community EGG starts working with established leaders, including politically elected village heads, teachers, and religious leaders. Since leadership is an important component, priority is given to looking beyond traditional leaders to 'natural leaders' in a new, entrepreneurial society… Early in the program EGG staff conduct community-wide surveys of each school and community, including the name of every girl who has dropped out… Community surveys often reveal basic problems such as teacher absenteeism, lack of clean water, lack of bathroom facilities for girls, and so on. The surveys provide the background for community-wide meetings, discussing why educating girls is important, empowering the School Management Committees (SMCs), planning Action Projects, and creating girls' parliaments (bal sabhas), which promote girls as leaders. The girls not only become role models as leaders and achievers for girls who need both, but also powerful change agents through the work they organize." " – Math understanding (up to two digits of addition and subtraction) increased from 26 percent to 57 percent (a 119 percent gain)." EGG's effort in Uttarakhand ended in 2008, but broadened in Rajasthan, where, in 2007-09, in 500 schools, "the percentage of enrolled girls increased from 90 to 99.5, while the percentage of students who attend class on any given day, a more important figure, increased from 67 to 82." Chickering and Tiyagi add, "communities showed extraordinary social entrepreneurship, initiating a variety of projects. Of these, two really stand out: the percentage of schools with clean drinking water increased from 46 to 82; and the percentage of schools with separate toilet facilities increased from 44 to 71." The authors conclude, "Although problems remain to be solved (especially ensuring sustainability), and more and better evaluations need to be implemented, EGG's results in Uttarakhand and Rajasthan are encouraging. Empowerment models, EGG's and others, deserve experimentation in different countries, with different political systems and cultures — and with other applications, starting with health." The Muslims of Rajasthan make up eight percent of the state's 6.8 crore (68 million) people and have been supported by the state government in expelling radical Islamist ideologues from communal institutions. Muslim families and authorities should follow the guidance of AIUMB, and examine the EGG program to advance education of girls, supplementing the local madrassa network, and in coordination with the Rajasthan Urdu Akademi. In the spirit of communal generosity associated with Ramadan, the Muslim girls of Rajasthan – and the rest of India – deserve no less. CIP Note: The article cited here, "The Global Schoolgirl," may be accessed online at http://www.hoover.org/publications/policy-review/article/123681.